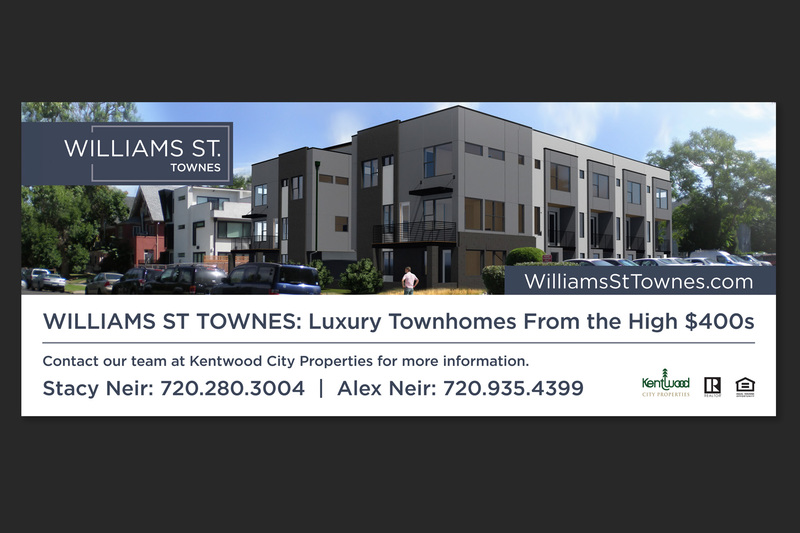 Challenge – To create a brand with marketing materials that appeals to those seeking a hip, urban, infill neighborhood in downtown Denver. 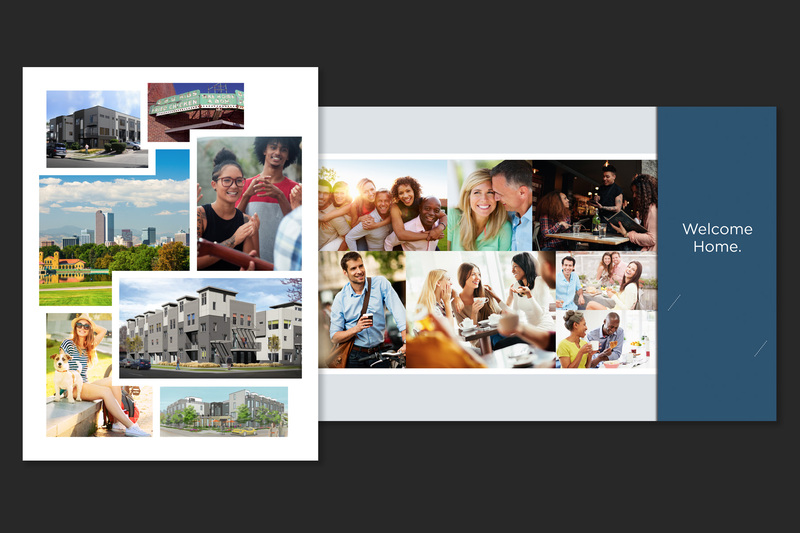 Result – Taking the renderings and locations into consideration, we came up with a distinct yet timeless logo that matched the demographic of the buyer profile. 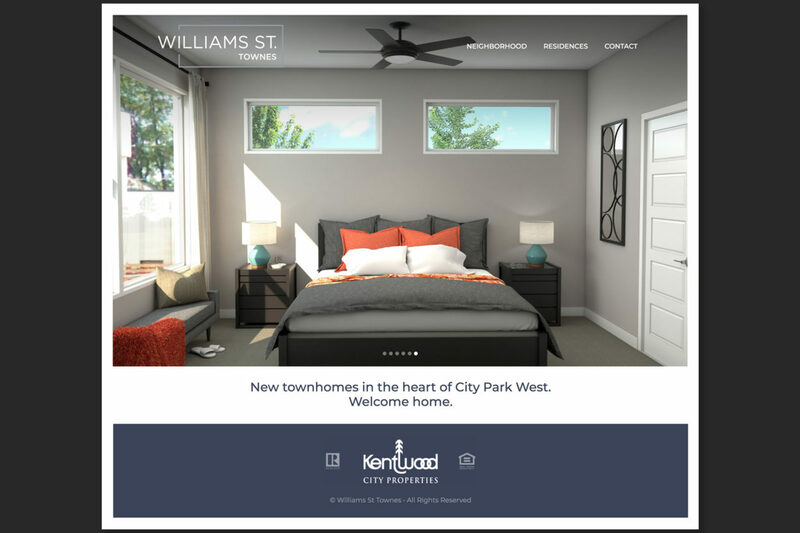 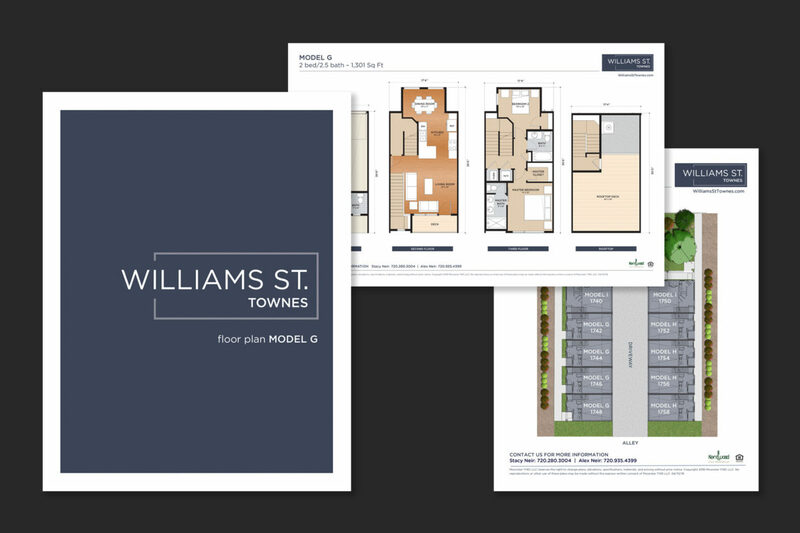 From there, we researched photos and the neighborhood staples for photography and overall website style that kept up the with cool, hip area of Williams Street Townhomes.